Horton Brasses Inc Horton Brasses produces more than 1,000 different pieces of authentic reproduction furniture and cabinet hardware at our factory in Connecticut. We are proud to offer beautiful reproductions of antique Victorian, Arts & Crafts, Chippendale, Sheraton, Hepplewhite, Queen Anne and William & Mary hardware. 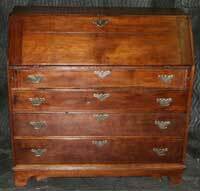 Shown below, a circa 1750 Secretary Restoration by Artisans of the Valley using Horton Brass hardware. Artisans Features Horton's hardware on our restoration projects! Visit " Furniture Styles's," for a series of essays and articles on the history, development and enduring traditions, periods and eras of home Furniture styles from around the world. We have hundreds of unique woodworking plans for the beginner to the most experienced woodworker. 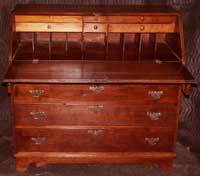 We strive to help our customers make top quality woodworking projects. By browsing through our web site you will see some of the most unique and glamorous woodworking projects in the woodworking industry.